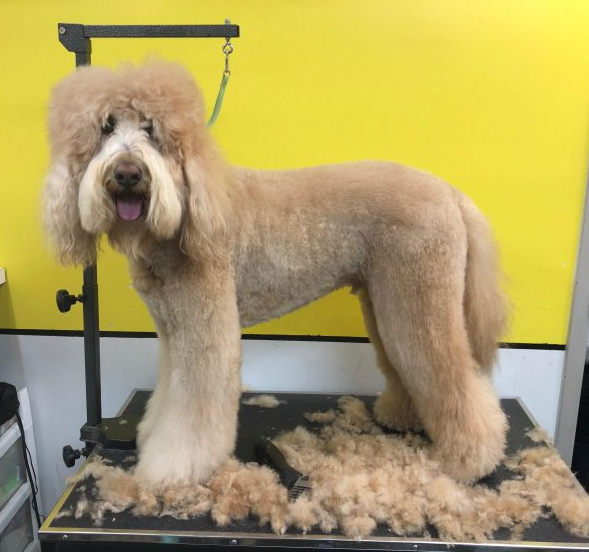 I spent two days shadowing Camp Canine’s groomer, Sarah, as she worked with every dog – from giant Labradoodles and Bernese Mountain Dogs to tiny Mikis who could fit in the palm of her hand. It was both entertaining and eye-opening to be able to watch her work and ask her questions. “I work on every type of dog,” she told me. 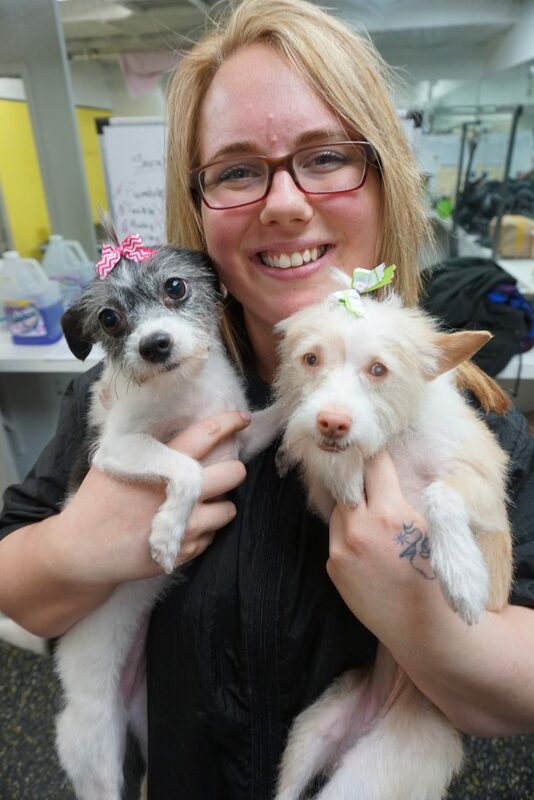 “We have elderly and handicap dogs come in, and then we’re working with puppies a few hours later.” She grooms dogs of all shapes, sizes, temperaments and backgrounds, and the diversity is one of the things she loves most about the job. 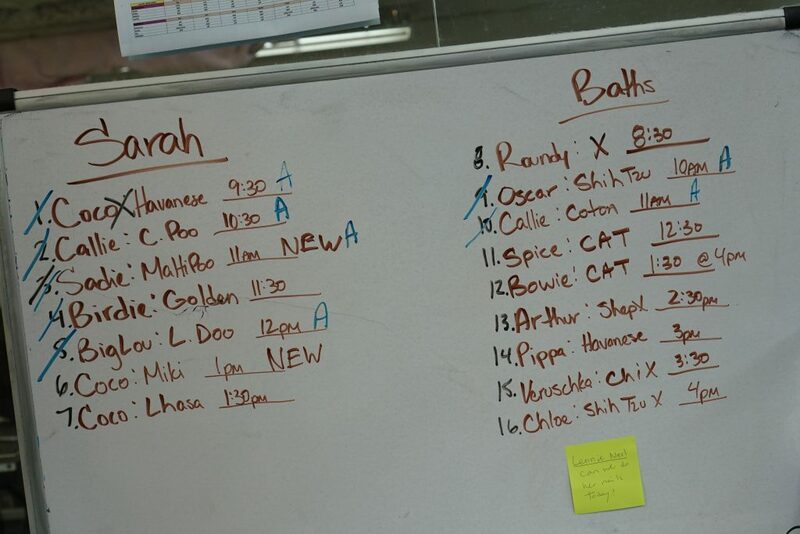 Sarah’s day begins with organization: she enters to see her day’s schedule written on a whiteboard, and she’ll spend some prep time learning the priorities of the day (which dogs go home at which time, which dogs will need extra time to make them comfortable with the grooming process, etc.) 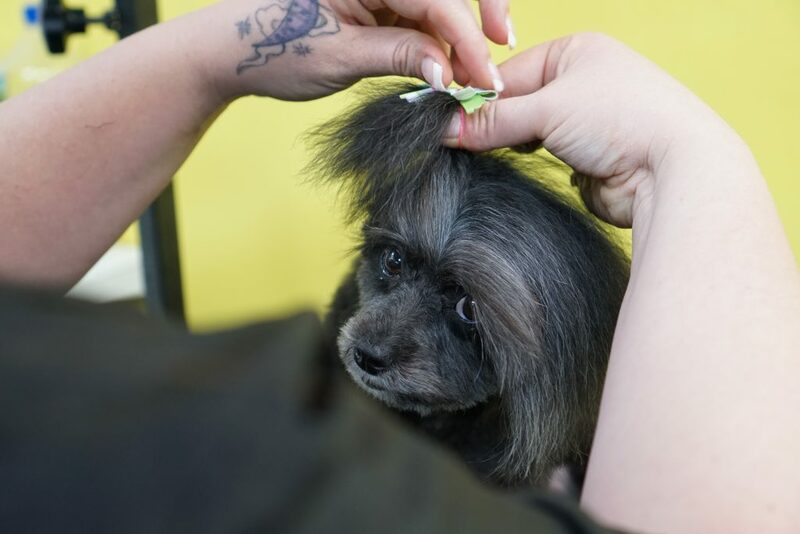 She’ll refresh her memory by looking through her notes; each and every dog that comes to Camp Canine has a card on which their groomer describes the cut that that dog received, down to the exact size of clippers used. As the dogs begin to file in for the day, Sarah starts each groom by assessing the dogs with her bather. Does the dog have any knots or matted fur? Are there any injuries or temperament quirks they need to be aware of? 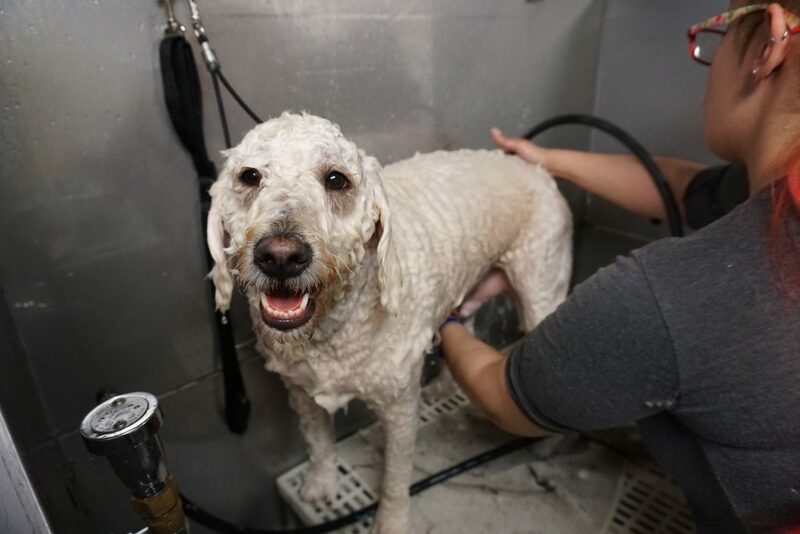 Our doggy parents are encouraged to talk with Sarah about their grooming expectations before the pup goes straight to the bath! Camp Canine’s bathers brush, de-mat, shampoo, condition and blow dry the dogs. They also will do the nail trims, clean the ears and brush the teeth. Next it’s onto the grooming table! Sarah will cut, shave, shape, then ‘top it all off’ with perfume and bows (if that’s what the parents want.) And after every dog, she’ll sweep up the extra fur and sanitize the table to get ready for the next lucky pup. 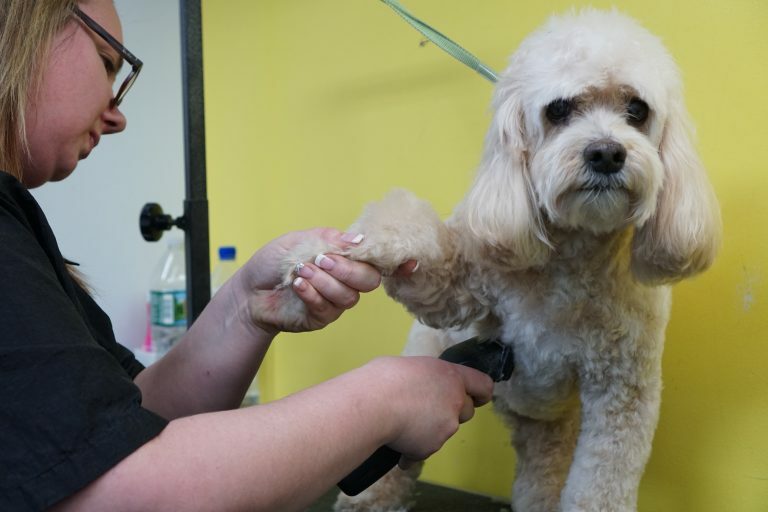 What’s your favorite dog breed to groom? What’s the most unique request you’ve ever received from a client? What’s your favorite part about grooming? Sarah has a big heart; she enjoys working with dogs who come in scared of the grooming process, and rehabilitating them so that it’s a day they look forward to. On top of that, Sarah frequently donates her time to giving ‘makeovers’ to homeless dogs so that it betters their chance of finding a forever home. 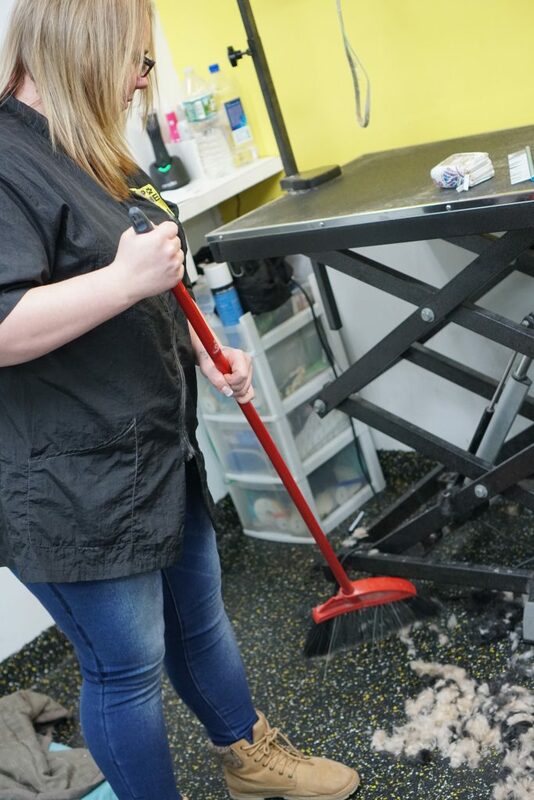 She is a part of our team of four fabulous and experienced groomers: her peers, Kathy, Melina and Laurie, are always ready to beautify your dog as well! 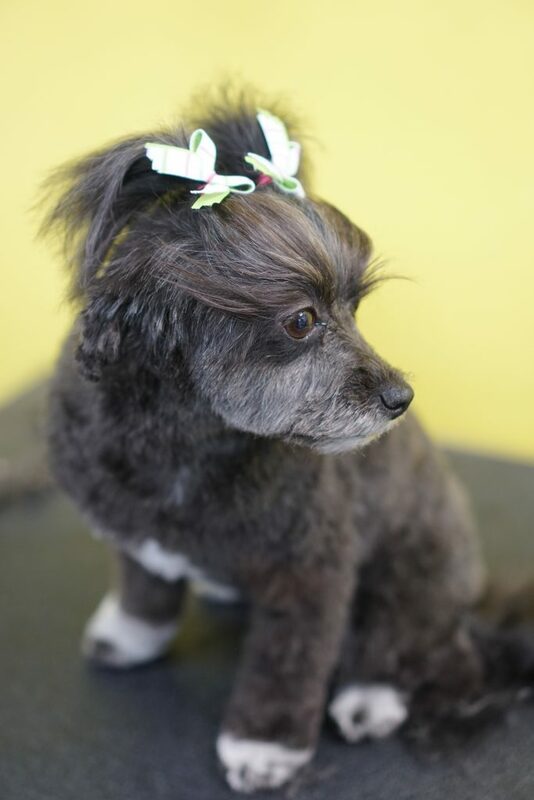 Call (212)787-3647 or email info@nycampcanine.com to book your dog’s next groom. ← Top Dog Tania was Nominated ‘New Yorker of the Week’!